Finishing in the stadium in Memphis for my PR. I enjoy the camaraderie of running. I’m a rookie pacer, so I’ll let you know after St. Louis! Have fun and you can do it! 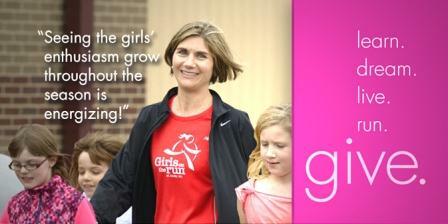 I’ve been coaching Girls On The Run for nine seasons.